So after much scolding and nagging by 'mother' Cheryl, I've decided to perm the hair! 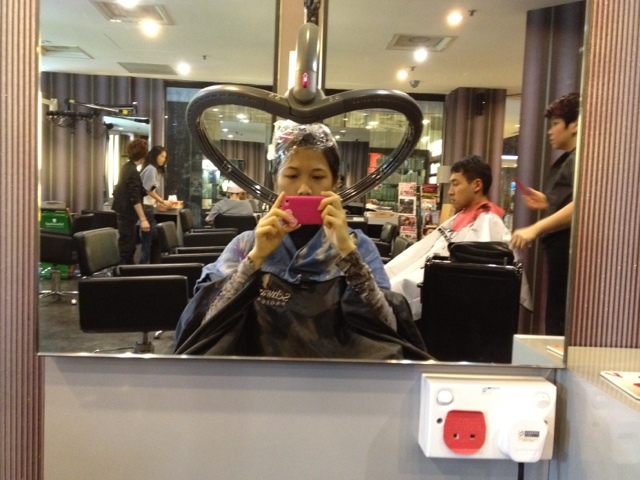 :D Since she also recommended me her salon, which I called in Jan for an appointment but could only get a date today. 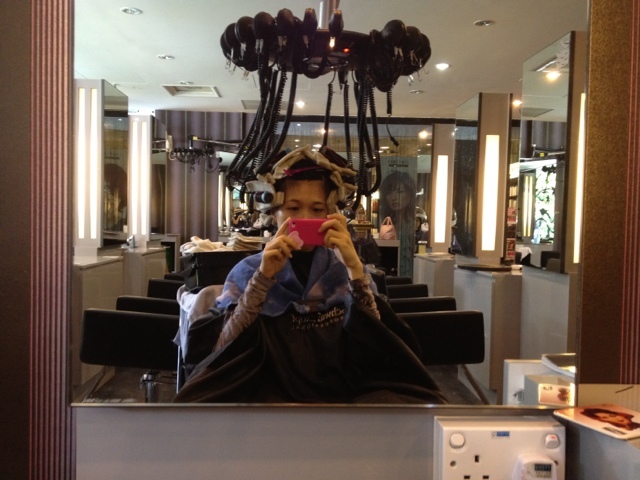 Doing a hair treatment before perming. Anyways it took a good 3 hours to do the hair. So so so so long! I'm so glad for iphone. LOL! Anyway my hair is not at the best state for photographs, shall take some when it's less densed? I think it will look nicer when my hair grows longer. I want long long hair, thank you very much!